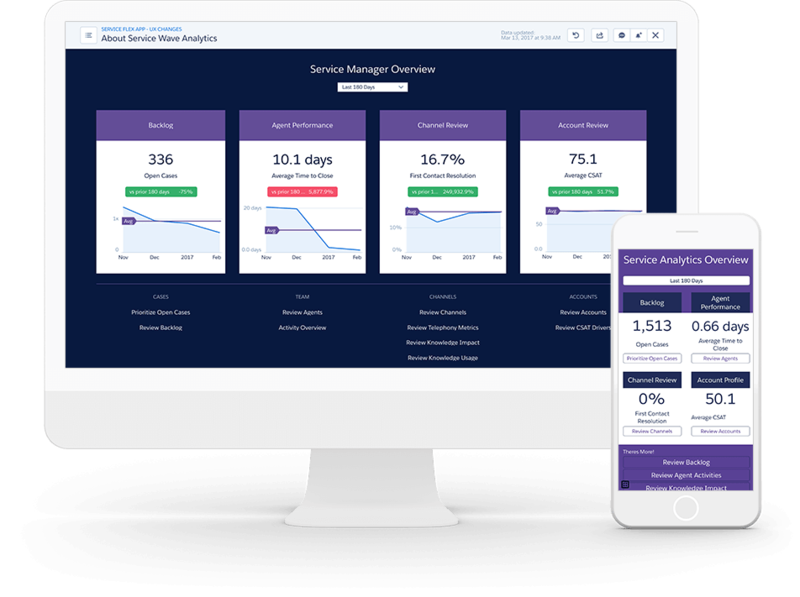 Create smarter managers, more productive agents, and happier customers with service analytics. 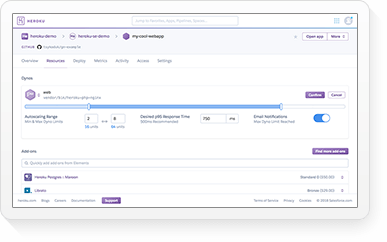 Know everything that's happening within your support operations any time, anywhere, from any device. 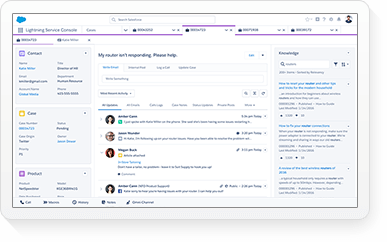 Deliver better, quicker customer service by getting all your work done in one place: the agent workspace. 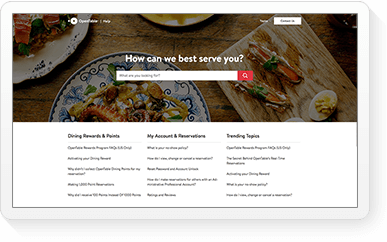 Easily drill into customer profiles and case history, create cases, update case history, and collaborate with your team. 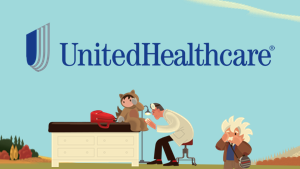 Diagnose service issues quickly with a flexible, user-friendly platform. Work smarter by seeing analytics information right in your workspace. Help your agents make more informed decisions in every customer conversation by embedding analytics in the agent workspace. 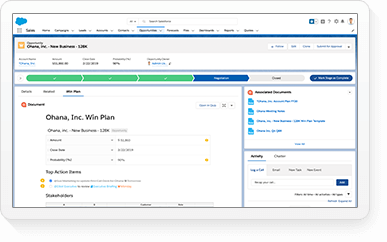 Work faster using prebuilt dashboards that automatically populate your CRM data. 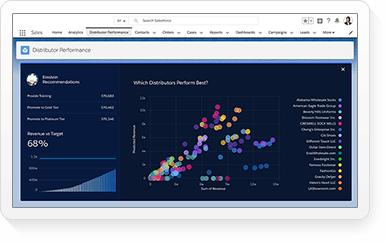 And gain visibility into your business with case volumes, agent and mobile worker activity, chatbot performance and backlog analysis. Centralize your KPIs on one screen. Every employee can stay ahead of business concerns by identifying product issues, customer issues, and churn risks with predictive insights. 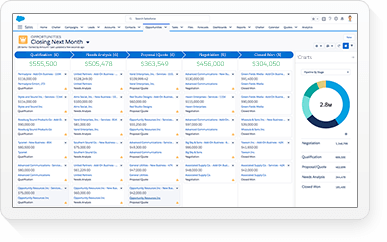 Deliver personalized service with predictive CSAT, based on existing Salesforce data and trends. 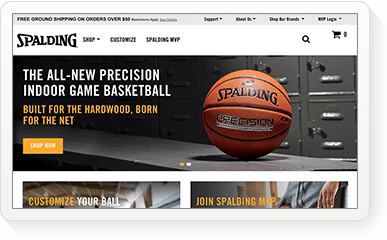 Resolve cases faster for happier customers when you explore and act on trends. 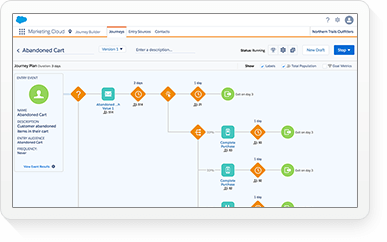 Make it easy for agents and managers to quickly open cases, create tasks, update records, escalate cases, and collaborate from the point of insight — all without shifting between disconnected analytics tools. 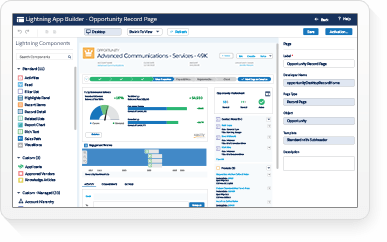 Unify your agent experience with Service Cloud. 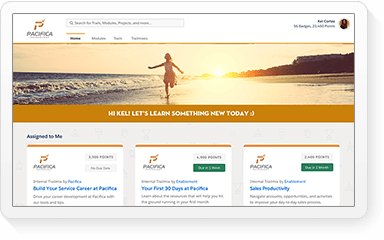 Our customer service management solution puts all of the information representatives need at their fingertips, all in one console. 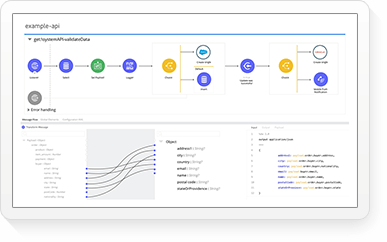 With Service Cloud from Salesforce, you can manage cases, track customer history, view dashboards and a lot more — all in one view. No multiple tabs. No switching softwares. Service Cloud is the only customer service technology you’ll need — always available from your web broswer.